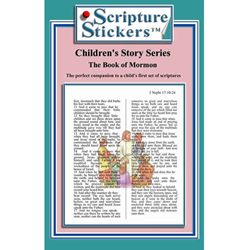 Contains 32 scripture stickers from your favorite children's stories in the Book of Mormon. 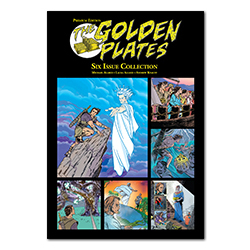 Bring the scriptures to life with beautifully drawn read-through illustrations. 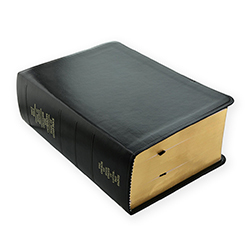 It's the most advanced, effective and inspirational scripture marking and learning system ever developed. And it's fun! Just peel and stick. 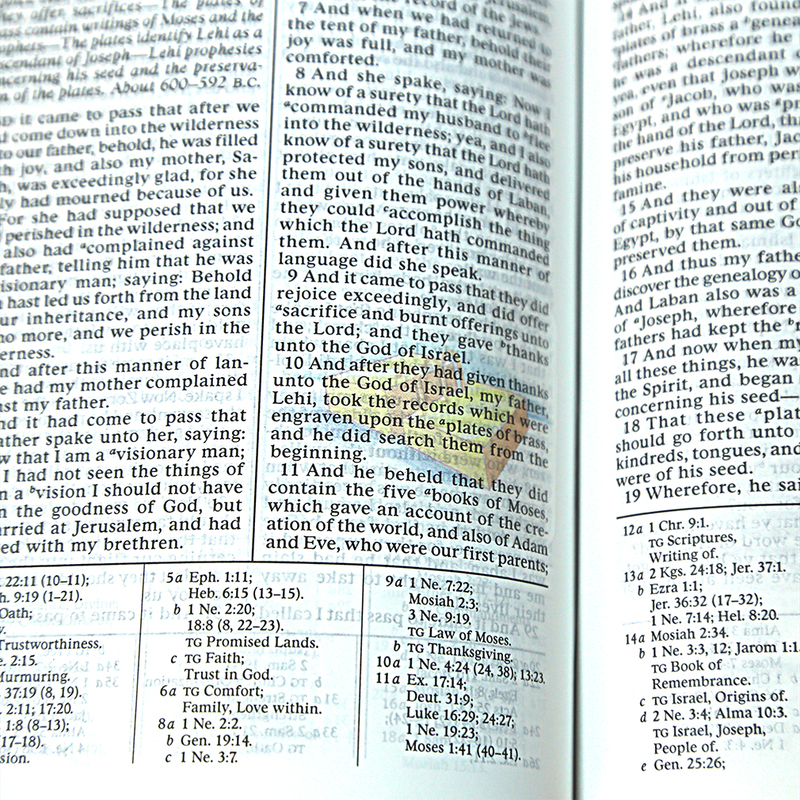 Key passages are immediately highlighted to help you tell a story, or just find your place again and again. 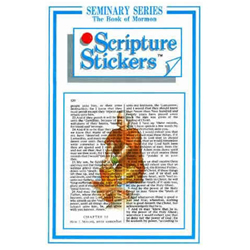 Scripture Stickers can be used at home, in seminars, at school, in church and in classrooms of all ages. 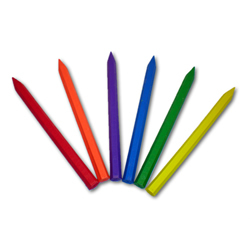 They don't fade or bleed like highlighters or crayons and are completely removable. Teach the CTR B Class and prepare the children for their great to be 8 birthday and what a joy it is for me to see them get baptize . 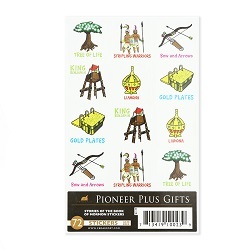 I found these stickers to be the perfect gift to go with their new scriptures. I love them and most of all the children are so anxious to look up the verse and start placing them in their scriptures. 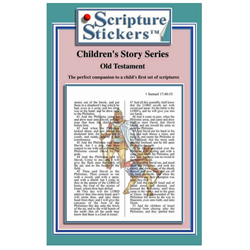 My primary kids love these because they relate to the stories that we are learning in primary class and they can look up their scripture stories and there are the pictures in the chapter we are learning from! It is great! 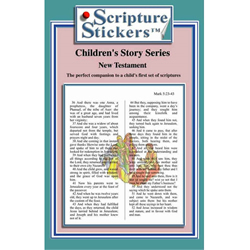 I got these for my daughter with her brand new scriptures for her baptism. I didn't realise how much of an effect they would be. 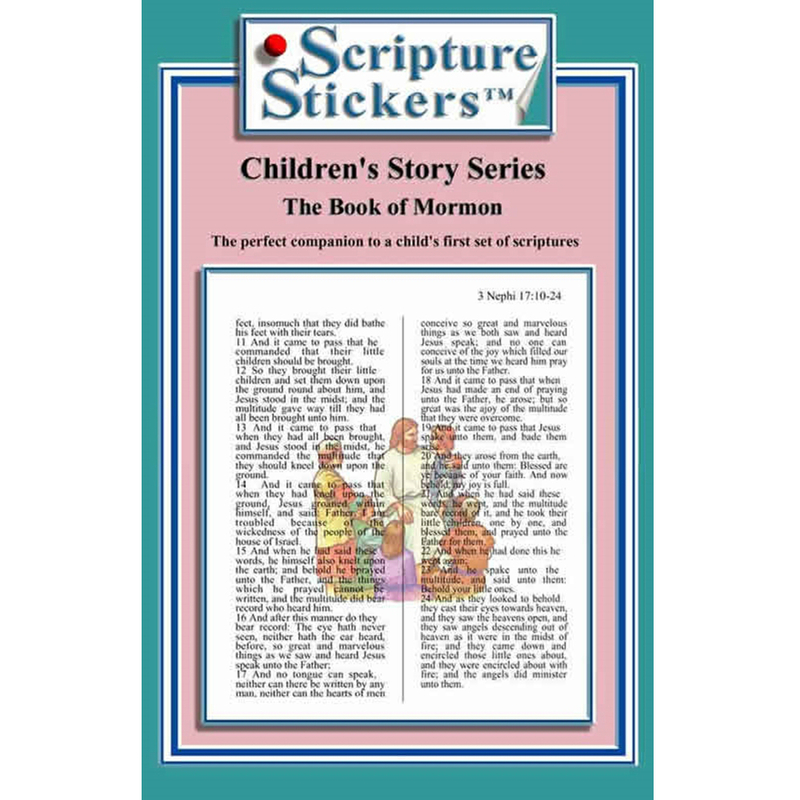 First, it was a good opportunity to show her how to look up the scripture reference (going to the front of the book and looking at the contents page etc) Second, one of her favourite stories is Samuel the Lamanite and she was able to look it up because the sticker was there. It actually encouraged her to read (she struggles with motivation for reading). You have to be careful getting the stickers out. I had a few, rip a little.